A case of clashing of hot-keys. 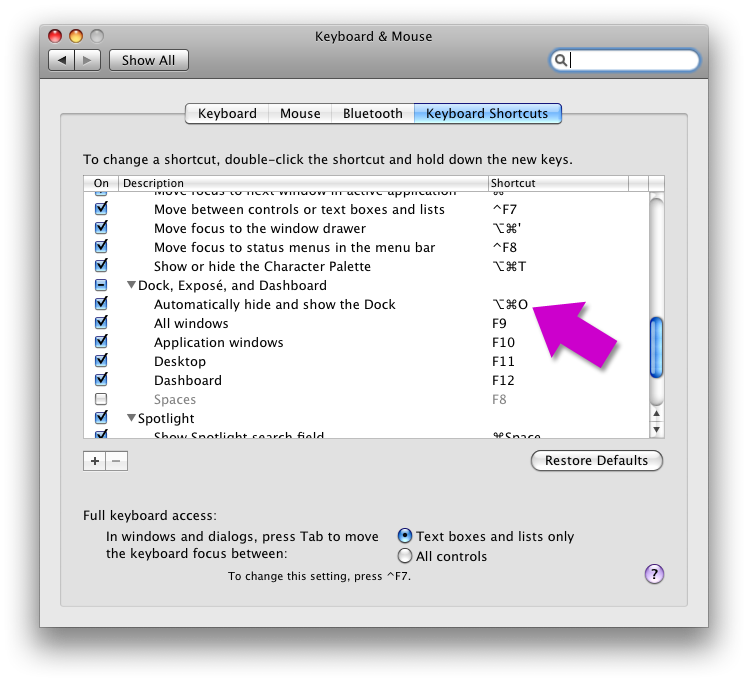 Surely Adobe’s Photoshop and Mac OS X Leopard wouldn’t share a keyboard accelerator for something important, would they? Yup 🙂 Feathering a selection’s edge in Photoshop using Command+Option D (cmd+alt D) in Photoshop on the Mac results in the dock hiding itself. And if you’re an experienced PS user then you probably feather selections all the time. The fix? 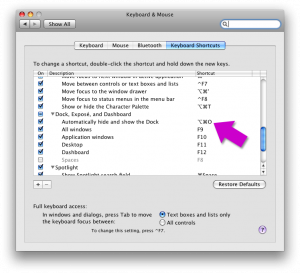 Change the Mac OS accelerator for ”Automatically hide and show the Dock” to something different (I use cmd+alt+o).